Buffalo chicken wings are one of the nation’s most favorite foods, especially when the Super Bowl arrives. Due to their extreme popularity, chicken wings have now become quite an expensive portion of a chicken. They taste great when covered by the scrumptious buffalo sauce or even when simply fried. However, if you frequently consume this dish, it is important that you know the calories buffalo and baked chicken wings have so that you are aware of how much nutrition and calories you are getting from this food item. There are about 80+ calories in baked chicken wings and around 5.8 gram fats. However, by taking off the skin, you will consume fewer calories and fat. However, the protein content of the wings is quite high. 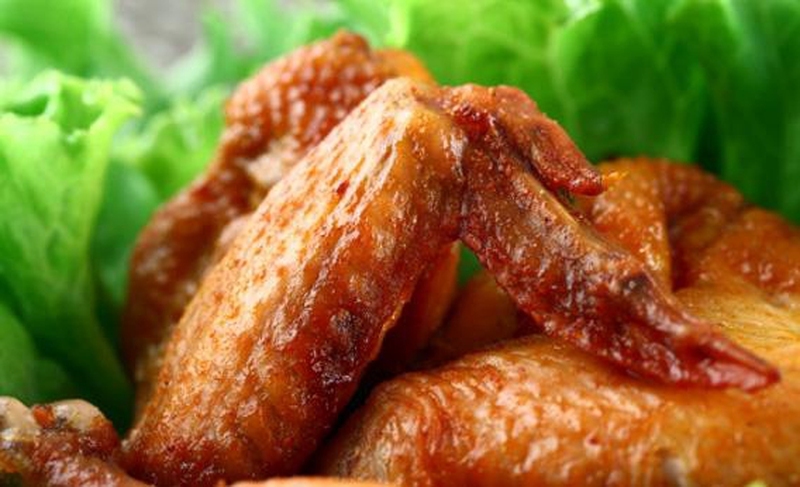 One piece of chicken wing contains five to nine grams protein, but this depends on the wing’s size. Baked chicken wings have low cholesterol content, which is around 25 mg per wing. They also provide you with two percent of daily value of iron and 55 mg potassium. Here is a great baked chicken wings recipe for you that contains fewer calories. Ingredients have been listed in the table below. Preheat your oven to about 375° F.
Combine all ingredients excluding chicken wings in a zip lock bag. Seal it and shake it to combine the mixture. Add in chicken wings and shake it to coat them. Arrange wings on your baking sheet. Cook in preheated oven for one hour or till they become well cooked and crisp. Server responsed at: 04/18/2019 12:46 p.m.